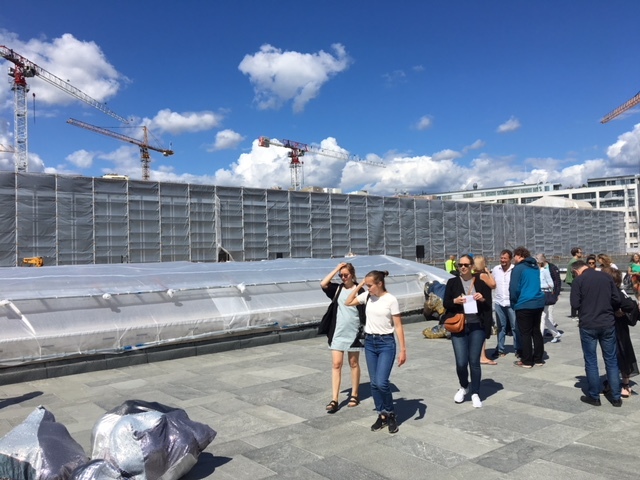 PHOTO FEATURE: Norway’s new National Museum is rising on Oslo’s western waterfront, and attracting some unusually harsh criticism two years before it even opens. Museum staff and state officials met the critics with a charm offensive, though, and offered the public a peek at what’s going on behind its new brick walls. Debate was still swirling when barriers were pulled down and the public was invited in during an “open house” last weekend. 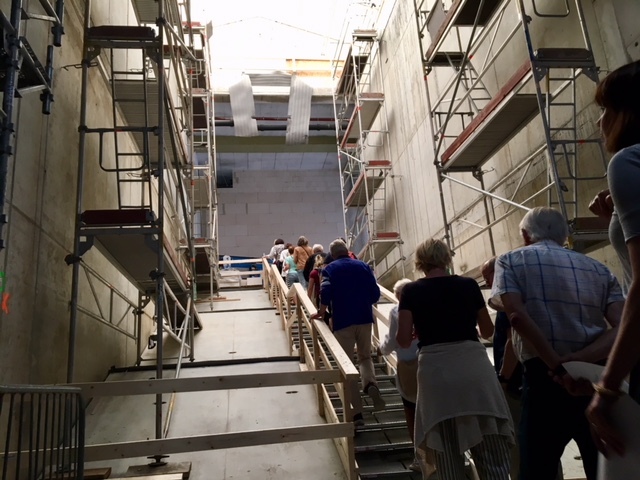 Museum staff and officials from the state real estate agency Statsbygg, which is responsible for the museum’s construction, were on hand as guides and hosts as visitors were allowed to walk through what will eventually be the museum’s “Piazza,” library and exhibit rooms. 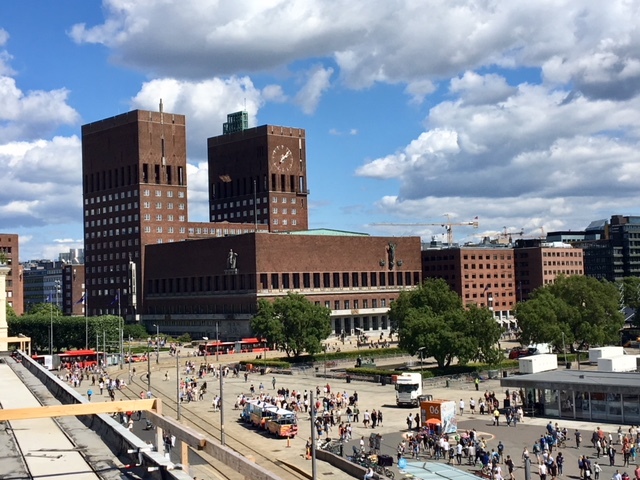 The new “National Museum of Art, Architecture and Design,” as it’s officially called, will consolidate the collections of what has been the National Gallery, the Museum of Decorative Arts and Design (Kunstindustrimuseet, which has already closed) and the National Museum-Architecture. It will be the biggest art museum in Scandinavia, with 900 rooms displaying around 6,000 works of art at all times, and it’s costing nearly NOK 6 billion (USD 750 million) to build. 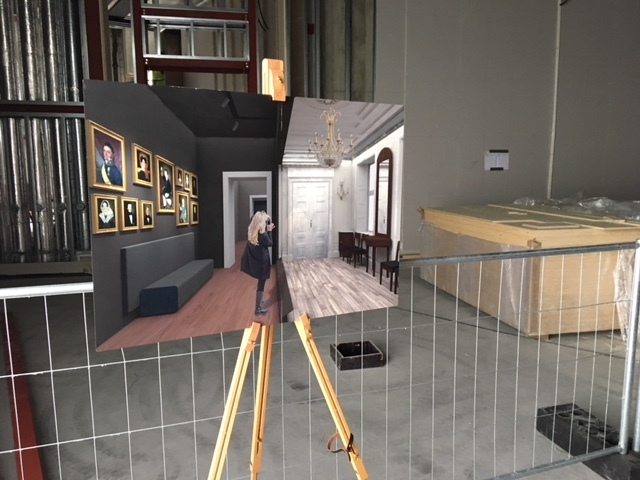 There’s also been great debate over how construction of the new consolidated National Museum will affect Norway’s popular National Gallery, located just a few blocks away in a classic old building from the 1800s. The country’s newly expanded conservative government coalition declared in January, however, that it supports “preserving the National Gallery as an art gallery tied to the National Museum, provided its rehabilitation won’t present large costs.” That cheered fans of the National Gallery and its iconic room devoted to the most famous works of Norwegian artist Edvard Munch. 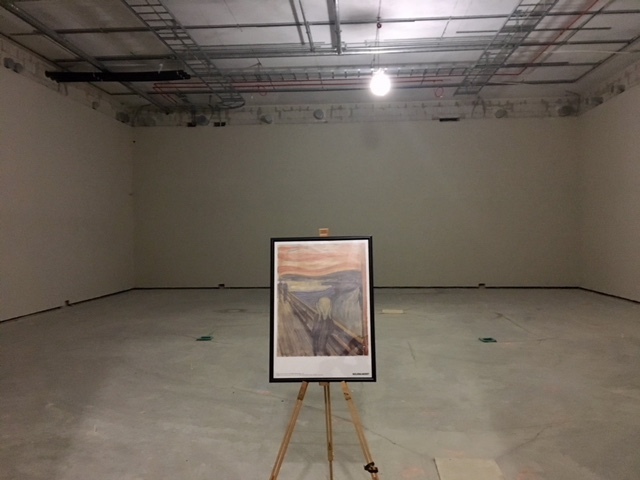 The new National Museum, though, clearly plans for a “Munch Room” of its own. The sheer size and scope of the space inside the new building makes perhaps the biggest impression. 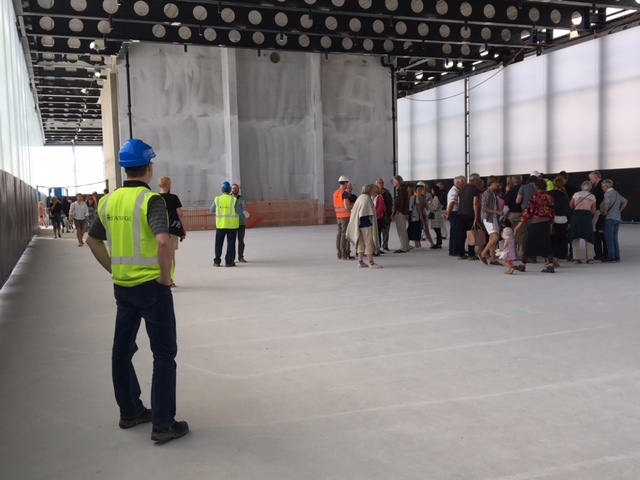 This hall at the top of the building offers the largest amount of open space (3,200 square meters), and will be used for special, ever-changing exhibits of art in addition to those in the museum’s permanent collection. It also has been the subject of the largest conflict so far, since its walls were initially meant to be made of alabaster that would let in natural light. Aftenposten reported that it turned out to be too fragile and resulted in a yellowed light in the room. Architect Klaus Schuwerk of German firm Kleihues+Schuwerk then proposed a “ceramic glass” as an alternative but it shattered during testing. Statsbygg is thus opting for a special pure glass, which is also NOK 100 million less expensive, over the objections of Schuwerk, who still favours ceramic glass. Just outside what’s still called “Alabaster Hall” is a new outdoor roof terrace that stretches along the entire length of the 54,600-square-meter building located between the office buildings of Vika and the waterfront’s popular Aker Brygge office, shopping, residental and restaurant complex. Beneath the tarps shown here is an open atrium down to the next floor that will feature an outdoor sculpture park. 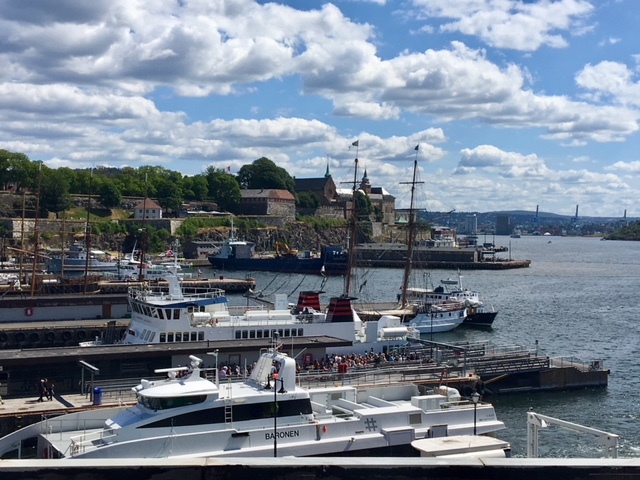 … and to the city’s busy inner harbour that extends over to the historic Akershus Fortress and Castle. There’s no question the new museum will be a landmark itself when it opens in 2020. 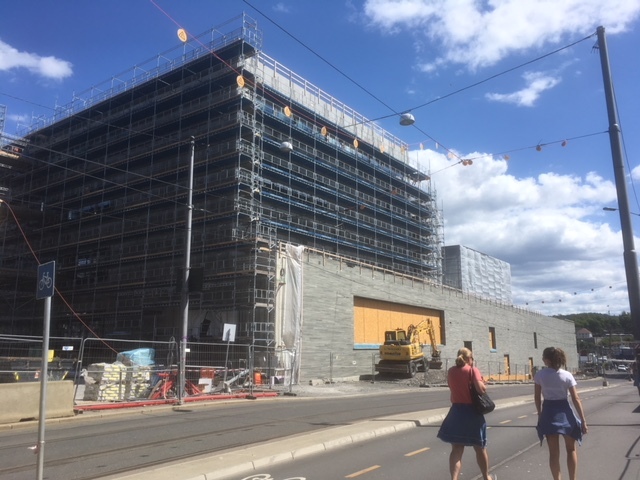 “I can’t understand how it’s possible to debate a half-finished building,” architect Schuwerk told Aftenposten in response to the debate and criticism of recent weeks. More than 2,000 people toured the building last weekend and several joined the museum’s organization of “friends” afterwards. The National Gallery, meanwhile, is due to close next spring to start the move of its treasures to their new home and begin renovations. It will take around 22 months to move all the contents from the three existing museums to the new location, which won’t be completely filled until 2022.